Home birth | Mark Sloan M.D. Maternity care is provided in hospitals by obstetricians, and at home by medically-trained midwives and traditional midwives. Midwifery groups don’t trust each other, and none of them trust obstetricians. Midwives feel obstetricians are often insulting and disrespectful to them. Obstetricians, in fact, are often insulting and disrespectful to midwives. Timely transfer from home to hospital during labor is often hampered by delays in deciding to seek care, by slow transport to the hospital, and by delays in receiving care on arrival. Women seeking home births are afraid of hospitals, which they see as cesarean mills. Obstetricians are viewed primarily as surgeons, their motives mainly financial. Economic and ethnic disparities are rife; those with money get care when and where they want it. 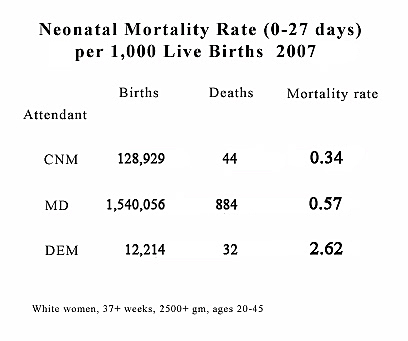 Despite years of progress, maternal mortality rates remain stubbornly high. I know what you’re thinking: Hey! I live there, right? Specifically, it’s Zahedan, the capital of Sistan and Baluchestan province in eastern Iran, home to 600,000 people on the border with Pakistan. A recent study of maternity care in Zahedan revealed a very fractured, and fractious, obstetrical world. What with battles over where and when midwives can legally practice, how best to deal with a flood of undocumented and uninsured immigrants, layers of professional suspicion, accusation, intrigue and infighting…you start to get the idea that maternity care is a mess the whole world ’round. Granted, there are differences between Zahedan and the U.S. It’s unlikely, for example, that an American woman would have to have her eclamptic seizures exorcised by a faith healer before her family would allow her to go to the hospital (a not-uncommon practice in Zahedan). Too, an American family would probably not be required to drive their very angry midwife home before heading to the local maternity ward. And an Iranian midwife’s trump card–the threat to “go outside the home and shout and bring disgrace” on a woman and her family for seeking hospital care–probably doesn’t strike a lot of fear in American hearts. 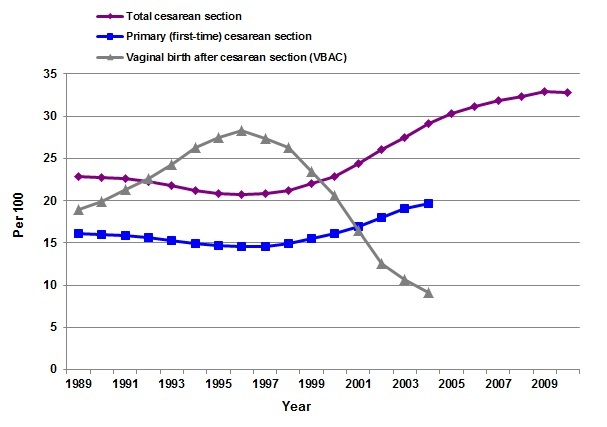 A new study by Eugene DeClercq and Frances MacDorman–my favorite epidemiologists–looks at trends in home vaginal birth after cesarean (home VBAC) from 1990-2008. The results are interesting, if not surprising, given the trends in American maternity care as a whole. Basically, Declercq et al found that home VBACs in the U.S., while still rare events, have been increasing–most recently from 664 in 2003 to 1000 in 2008. VBACs accounted for less than 1% of home births in 1996, but are now 4% of total home births. Meanwhile hospital VBACs have decreased from 3% of total hospital births in 1996 to 1% in 2008. VBACs underwent a steep decline in the late 1990s after the American College of Obstetricians and Gynecologists came out strongly against VBACs being performed in hospitals that did not have 24/7 OB anesthesia services, in case of the need for an emergency c-section. For a small number of women–likely those with no local VBAC alternative–this simply drove VBACs out of the hospital and “underground” – ie, into the home setting. Best place to have a baby? That belief seems to be based on personal experience (I say “seems,” because the only case presented is of a couple who wanted a home birth, ran into trouble that led to transfer, and then were “annoyed” to have had a healthy baby in the hospital) and backed up by a reference to the study by J.R. Wax that purported to show a three-fold increase in infant mortality for babies born at home. This essay actually offers unintended support to Dr. Dreger’s claim that physicians sometimes confuse science with technology. The Wax study has been heavily criticized for presenting a distorted picture of home birth safety (details here). Dr. Wolfberg ignores much research to the contrary in picking that particular study as evidence of the dangers of out-of-hospital birth, and his use of a badly flawed study to support hospital birth for all women is exactly the kind of thing Dr. Dreger decries. As I said in my last post, I’ve been on both sides of this debate. Childbirth is sometimes a scary thing, and it doesn’t always end happily. I’ve seen the kind of birth disasters that make an aggressive approach to childbirth so attractive to physicians, and I’ve also taken care of babies harmed by that style of practice. The trick is to find a safe balance of nature and technology for each mother and baby. That’s an elusive goal in the increasingly polarized world of American maternity care. Catherine – thanks for your comment! I appreciate it. The chart (left) from the blog you referenced says more about the way home births are handled in the U.S. than it does about home birth itself. As I’ve mentioned before, the Birthplace in England study, as well safety data from Canada and Europe, show that in selected circumstances home birth can be as safe as hospital birth in terms of maternal or neonatal deaths–if home birth is integrated into the larger maternity care system, which in the U.S. it is most definitely not. Here in America we have a patchwork of state laws that in many cases increase the risk of home birth for mother and child. We also lack the kind of nationally recognized licensure and regulation of home birth midwives that most other western countries have, which can lead to women being cared for by poorly qualified, “underground” birth attendants and to the kind of tragic outomes that the chart highlights. “It is our goal that all health professionals who provide maternity care in home and birth center settings have a license that is based on national certification that includes defined competencies and standards for education and practice. With few exceptions the regulatory, institutional, and medical systems in the U.S. don’t support home birth. Yet women are increasingly seeking home births, and no matter what the blogging doctor Catherine cited might fervently prefer, they can’t be forced to do otherwise. Speaking as a physician, unless you’re part of the effort to make home birth a safer alternative for those women who want one (and their babies), you’re part of the reason for those bad statistics. Home births are on the rise in the U.S., according to a new report from the Centers for Disease Control and Prevention. 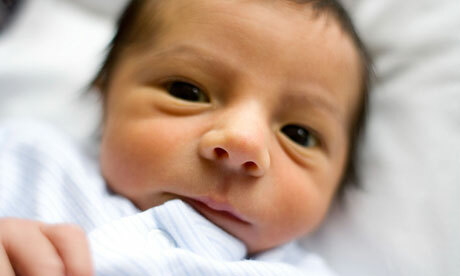 Home births accounted for 0.72% of all U.S. births (29,650 births in all) in 2009. The rise is disproportionately among non-Hispanic white women 35 and older (a 36% increase from 2004-2009). There’s interesting data galore: about 67% of the births were attended by midwives (mostly) or physicians (less often), while 33% of the home births were attended by “others”–which could be anyone from a relative to a paramedic. It’s the latter category that tends to include unplanned home births (eg, babies born in toilets to very surprised mothers, etc.) and most of the “disaster stories” that plague home birth’s reputation. Reporting is getting better now, less “lump-em-all-together,” which should give a more accurate picture of the risks of well-planned, well-attended home birth in the U.S.
I’ll have more to say on this report later today and tomorrow. I’ve decided to close out the comments related to my recent home birth posts. I’ve received quite a few of them in the last couple of weeks, the large majority of which are attacks on one category of midwives or another, are often personal in nature, and contribute little if anything to the discussion of home birth’s role in American maternity care. As promised, I didn’t publish them. There are obviously deep divisions among midwives (at least among many of those who wrote in) and a blog shootout isn’t going to accomplish anything. I’ll write more on the subject of home and other out-of-hospital birth in future posts, in particular about how place of birth increasingly appears to impact a baby’s long-term health, but for now it’s time to give it a rest. 2 states in which direct-entry midwives are legal “by judicial interpretation or statutory inference” (Maine, Massachussetts). “Inferred legality”! What a concept! A Zen-like state (Connecticut) in which home birth attendance is neither legal nor illegal. And the grand prize winner (Georgia), where home birth attendance by direct-entry midwives is legal…but you can’t get a license! The crazy-quilt pattern of home birth regulations around the country (the rest of the states are as scrambled as the Atlantic coast) and the varying education and training requirements for the different classes of home birth midwives are major stumbling blocks to integrating home birth into the larger maternity care community. The Consensus Agreements that came out of the Home Birth Consensus Conference in Airlie, Virginia, this past October reflect this. A national certification process for all midwives (similar to the process that already exists for physicians), acceptable to all the organizations involved in maternity care in the U.S., would go a long way toward resolving home birth’s legal limbo. Ah, but there’s the rub in the factionalized world in which we live. Getting organizations with long histories of animosity to give up a bit of control in order to advance the greater good may strike some as a tilting-at-windmills exercise. But the Home Birth Consensus Summit, where representatives from major medical, midwifery, hospital, and insurance organizations reached agreement on some thorny issues, showed that it’s possible to move ahead. The devil (probably a whole army of them) will be in the details. I’ll keep reporting on progress, or lack thereof, in future posts.